Description: The highly praised British label Undergroove Records recently decided to get back in business, signed the newly formed band Servers and is now throwing out their first full length ‘Leave With Us’. If you like big, chunky riffs and music with both raw muscle and memorable wild hooks then you’re in for a treat. This is a release for pretty much everyone; from the bald, classic rockhead and beer drinking thrasher to the happy stoner-hippie (no offense). 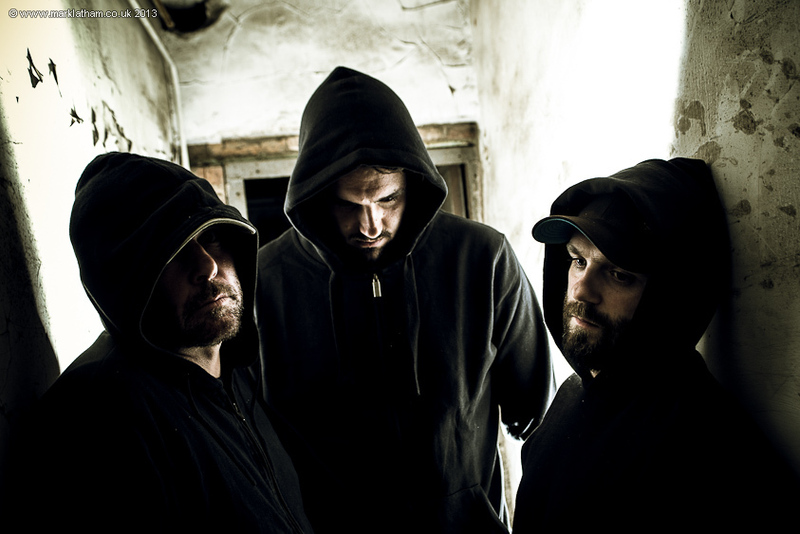 Because of the references to many different styles like sludge, classic rock, prog, grunge, industrial and even classical music the songs feel comfortably familiar and easy to listen to. Don’t take me wrong, I’m not saying the songs are simple or forgettable, no, it’s quite the opposite! To make a whole CD full of songs that are just as accessible as they are interesting and intricate, that’s in part what makes this album so impressive. Songs: Starting out with the punchy and dense ‘Save Me From Myself’ you get a good taste of what this band is about. Soaring choruses, pulsating drums, incredible guitar work and intriguing arrangements, much like Baroness, with the same emotional sincerity, just slightly more melodic. The uncut version of ‘Universes And Supernovas’ is up next and this fun track with its relentlessly fast pace and huge chorus will most likely get stuck in your head for days to come. My favourite part is the beautiful orchestral outro that provides a nice contrast and a relaxing minute that leads into the darker, slower ‘Claustrophobia’. This is one of the best moments on the album, the title suits it perfectly. A gloomy, heartbreaking sadness fills the singer’s voice, and the eerie feeling of the melancholic guitar melodies in the background send chills down my spine. I wish this track was longer! You don’t get much time to linger in the mournful atmosphere as Servers will quickly cheer you up again with the heavy, but extremely infectious ‘Run With The Foxes’. The album continues in the same vein with a very confident, well balanced and consistent collection of slower, heavier tunes mixed with faster, fiercer rock anthems. All accompanied by wonderfully gritty vocals, tastefully thick bass lines and a couple of effectual string sections when you least expect it. The lyrics are about the world of cults, the immense power their leaders have and the absolute devotion of the people who serve them (a.k.a servers). Conclusion: Servers has created a very accessible sound that is layered and deep, precise and powerful with plenty of character and more than enough variation to keep you wanting to come back to listen again and again. 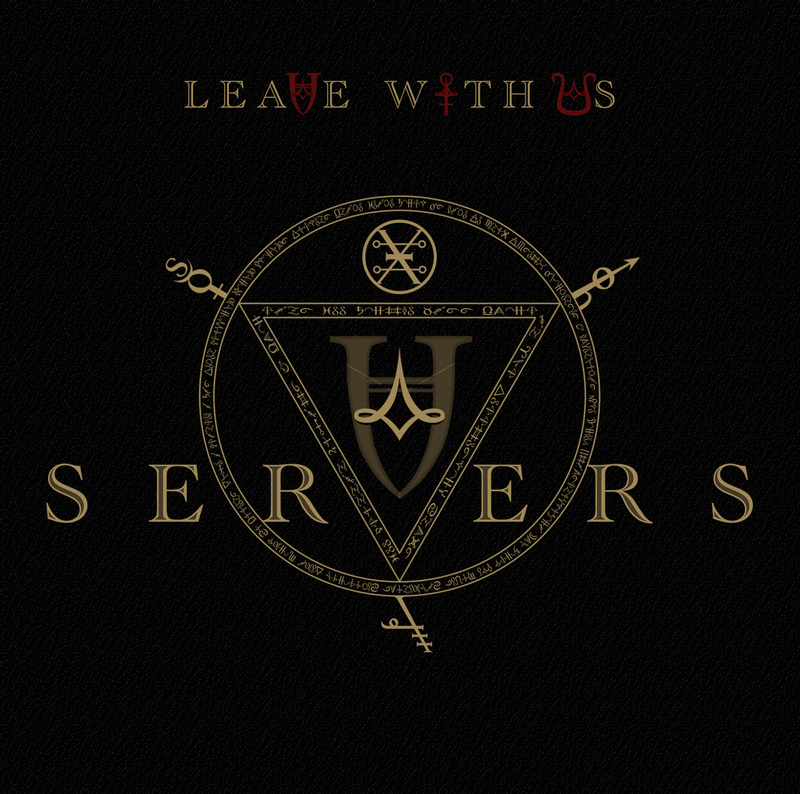 ‘Leave With Us’ is a highly enjoyable album that will last for a long time (and possibly lead to an excessively zealous commitment to this cult band). SERVER #0000033 joined us. Welcome! Posted on February 24, 2014, in Album Reviews and tagged Album Reviews, Alternative, Baroness, Heavy Metal, Mastodon, Queens Of The Stone Age, Rock, Servers, sludge. Bookmark the permalink. Leave a comment.